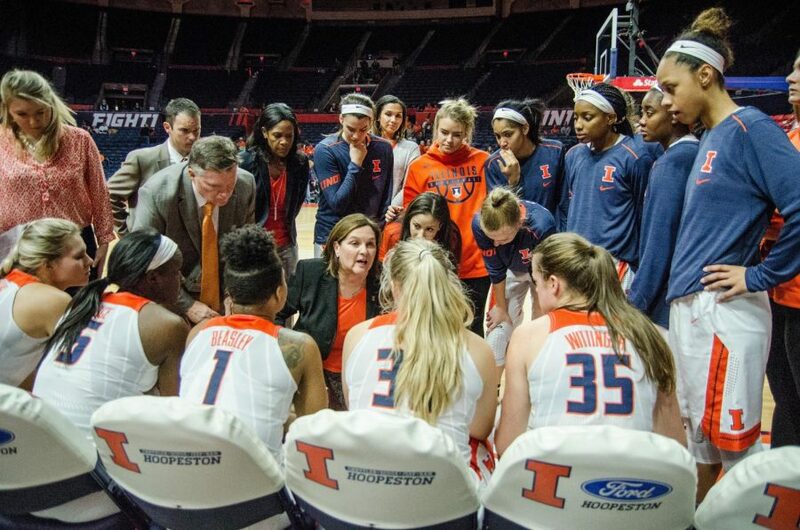 As reigning head coach Nancy Fahey enters her second year coaching the Illinois women’s basketball team, the team is looking to move forward after a 9-22 record in the 17-18 season. 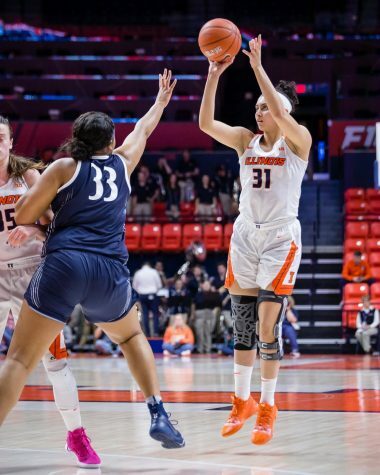 While the Illini had a rough start to the Fahey era, the teammates embraced their experience and are excited to start fresh this season. The team used these lessons to implement changes to its overall playing style. Since last year, the team has been working hard on transition offense to keep the tempo fast during games. “We didn’t score a ton of transition points last year, and that’s something we really want to change, so really pushing the ball and speeding up the pace is something we’re really focused on,” said senior forward Alex Wittinger. 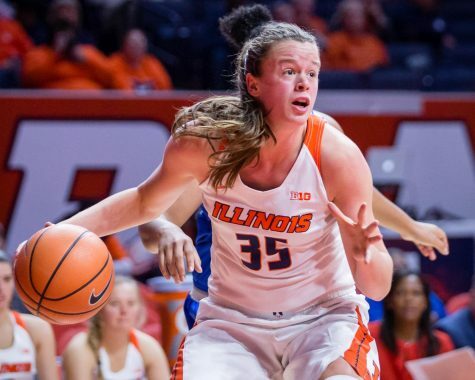 While Illinois is looking forward to scoring a lot of quick baskets, those points will come from a solid defense. This “grind of defense,” as Kirkpatrick describes it, is an aspect of the game the athletes are constantly looking to improve. Wittinger believes her teammates are close to where they want to be in terms of their defensive identity as a scrappy and destructive team. 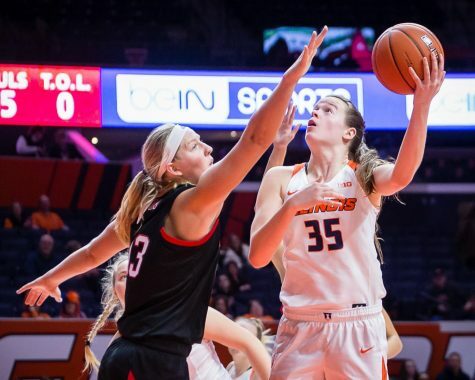 Along with making changes on both ends of the court, Fahey believes the team is more settled into her coaching style and is ready to compete at a higher level. 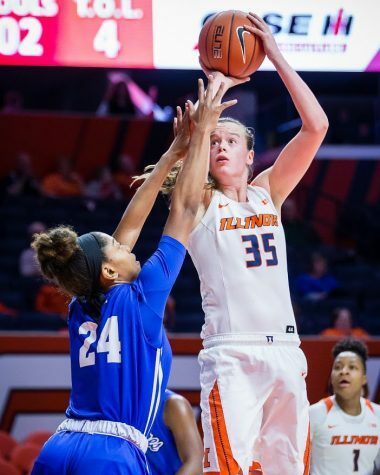 With 11 returning players, the majority of the Illini are accustomed to Fahey’s coaching and know exactly what she’s looking for. 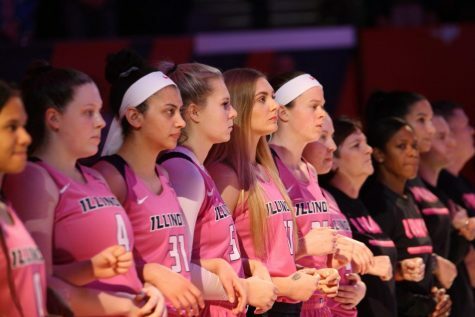 However, Illinois did welcome five new players during the offseason, partially due to the early departures of Addaya Moore, Jnaya Walker and Cydnee Kinslow. Fahey’s 2018 recruiting class includes two top-100 recruits, freshmen Arieal Scott and Mackenzie Blazek. Having a handful of new players this offseason has created opportunities for the older players to step up and be leaders. 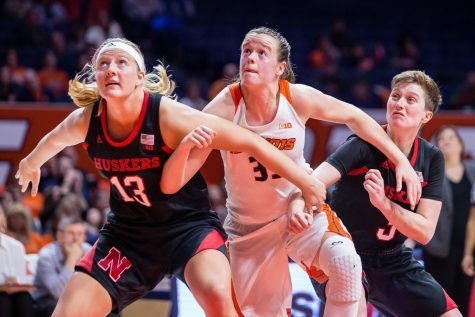 While Wittinger took time in the offseason to help the new players feel comfortable and learn the team’s dynamic, the 2018 All Big-Ten Second Team Forward has also been improving individually. Focusing on her perimeter game, Wittinger has worked on her 3-point shot and her ball-handling skills. 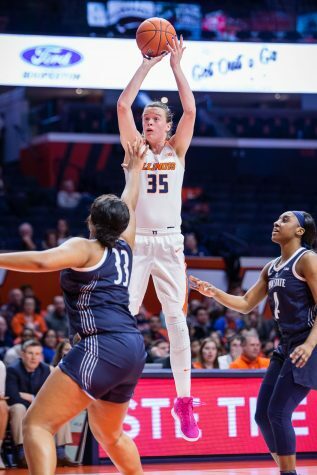 The senior said she’s ready to make her final season the “best one yet,” and she looks to break the school block record and contribute to the team’s goal of competing in the postseason. 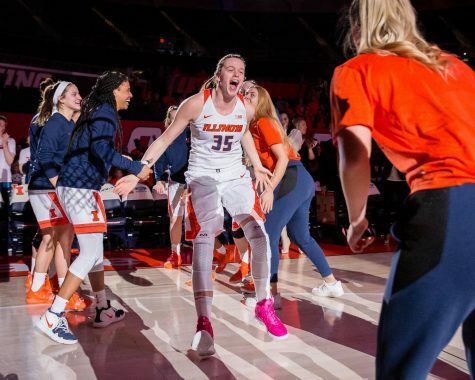 Making it past the regular season is something the whole team remains focused on, but for now, the Illini are excited to get their season underway. “October is really long; you’re just practicing the whole time, beating up on each other, and now we have an opportunity to go in and beat up on some other teams,” Kirkpatrick said.